Herceg Novi – Representatives of the Ministries of Labour and Public Employment Services (PES) offices from the Western Balkan (WB) economies together with relevant regional and international experts in the field, shared experiences and discussed youth employment programmes at the regional peer-review workshop, organised by the Regional Cooperation Council’s (RCC) Employment and Social Affairs Platform (ESAP) with Montenegrin Ministry of Labour and Social Welfare that ended in Herceg Novi today. The 2-day workshop was opened by Ljiljana Simovic, Director General for EU integration, Programming and Implementation of IPA funds at the host Ministry of Labour and Social Welfare and Nand Shani, RCC’s ESAP Team Leader, who informed them of the process of the peer review and importance of sharing of experiences and practices across the region, aimed at improving employment-related programmes and policies. 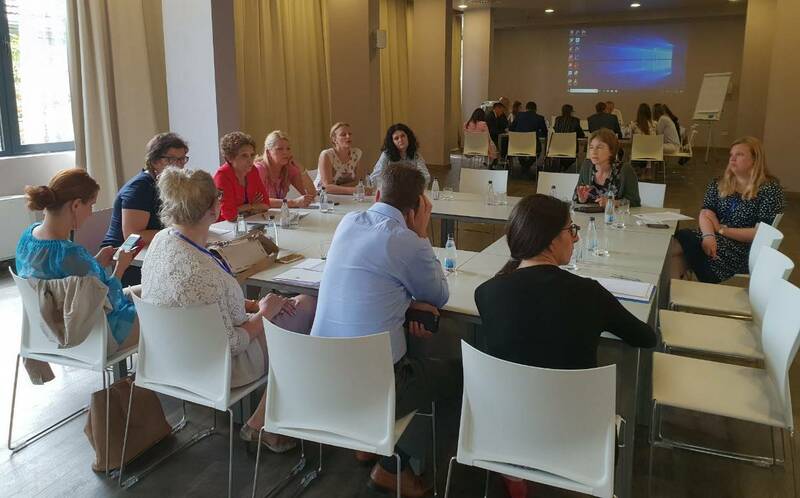 The participants heard the presentation of the Montenegrin experience presented by Edina Desic, General Director at Directorate for Labour Market and Employment of Ministry of Labour and Social Welfare, who referred to the report on this topics prepared by the Ministry with the support of the RCC. 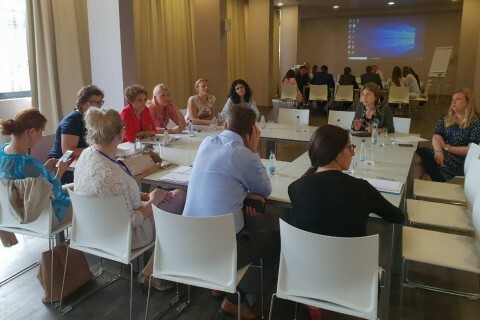 Given the high political priority that youth employment has in Montenegro, Ms. Desic presented an overview of youth employment programmes implemented by the Ministry of Labour and social Welfare, the Employment Agency of Montenegro, as well as the Ministries of Education, Agriculture, Sports and the Development Investment Fund. In the last five years, about EUR 49 million have supported the transition of more than 22 thousand young people from the education system to employment. 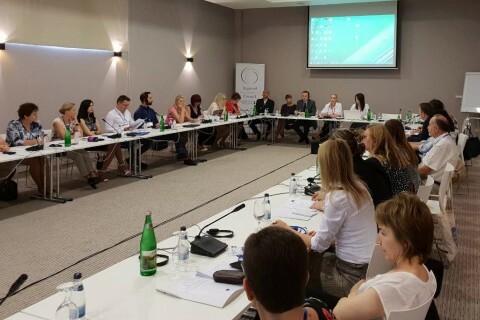 According to the thematic review paper on youth employment in Montenegro, prepared by RCC’s ESAP, based on the data of the Montenegrin Statistical Office (MONSTAT), in 2016, the activity rate of the overall population (over 15 years of age) was 54.5%, as compared to 49.5 % for the youth population (up to 29 years of age). The overall employment rate was 44.8%, while the youth employment rate was 35.2%. Finally the overall unemployment rate in Montenegro in 2016 was 17.7%, while the unemployment of the youth was 28.8%. Overall, 37% of ALMP beneficiaries are youth, while they represent 36% of the registered unemployed, demonstrating youth are proportionally streamlined into ALMPs. Sucessful measures include A first working experience programme was designed for high-school graduates, programme to incapacitate youth to take up jobs in the field of informal economy prevention, and a programme to mitigate the problem of prolonged job-search of highly educated youth. The Vocational Training programme has been delivered since 2013 and is intended for youth who have acquired higher education. 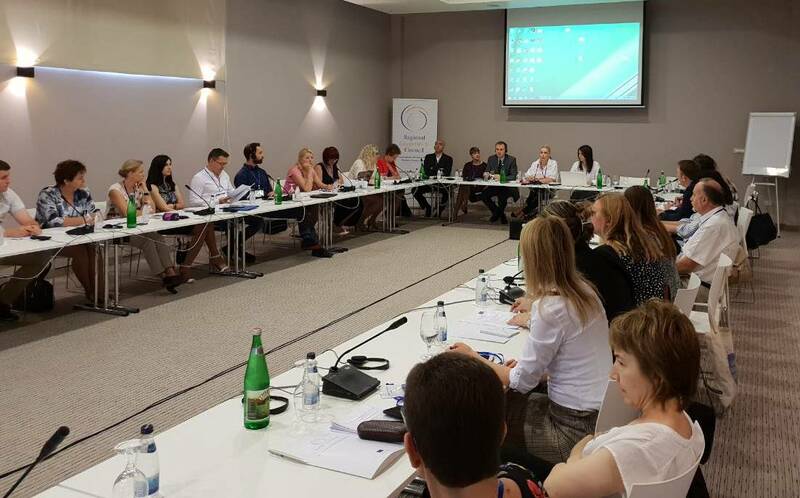 It is the biggest programme in Montenegro that contributes towards achieving the key goal of offering support to young university students in their transition from the world of studying to the world of work, and increasing the youth’s employability. Only in 2017, 3274 beneficiaries used the programme. Continuing the meeting, government representatives of the other WB economies presented their youth employment programmes, which was followed by the group work aimed at exchange of experiences and best practices, leading to identification of those which brought positive results and could be easily replicated. Participants agreed on the main barriers that youth face in the labour market, including the lack of jobs, widespread inactivity, the skills mismatches, the lack of youth mobility and of entrepreneurial skills. The discussions focused on the strengths of current programmes related to labour market training, employment services, public works, employment subsidies and entrepreneurship programmes. While participants explained key success factors of programmes that have been successful in their national contexts, they agreed on the need to have an in-depth understanding of the situation, developing rigorous methods for measuring results, ensuring that benefits continue beyond the participation of job seekers in employment programmes, having in place a reasonable input-output relationship for increased efficiency of programmes and more effective design and implementation of youth employment measures. Uros Bulatovic, Founder and CEO at Union of young entrepreneurs of Montenegro shared inspiring success stories of youth entrepreneurship in this economy, while Drew Gardiner, Youth Employment Specialist Representative of International Labour Organisation (ILO) spoke about Evidence from impact evaluations of youth employment interventions in the European Union and elsewhere by emphasizing the modest but long term effects of skills training, the short term effects of employment services and subsidies and the importance of comprehensive programmes and approaches for sustained employment and income growth. A synthesis report will be prepared after this meeting in order to structure the rich discussions, while highlighting good practices in the implementation of youth employment programmes. At the end of the regional series of the peer-review workshops both facilitating and constraining factors will be highlighted, and the main messages emerging from this and all other peer-review exercises will be summarized and shared among the peers in the region.